We have raised $1,371.03 of our goal. Hi everybody, it’s me Gracie again. There is a good chance that this might be the last time you hear from me. Earlier this month I took a trip to Channel Island University and everybody there loved me! It looks like I will get to be a therapy dog for college students at the University! College can be very stressful and so I am looking forward to brightening their days! I will have a buddy to run around with on the campus as well, my buddy Doc. I will definitely miss my teachers, my puppy parent and her family, and all of my buddies in the New Life K9 program. Being in the program has been a great experience and now I am ready for the next chapter in my life. Hey guys, can you believe all this rain? I have just been hanging out indoors and staying dry. time with all my friends. Check back in March to hear what happens! Happy New Year everyone, it's Gracie! I hope this new year brings all of you happiness. As for me, I just got back from my Christmas vacation. I go to play in the snow and have a bunch of fun! Santa Claus was nice enough to bring me some little booties (doggy shoes) for Christmas to help me with my surface issues. It was a little strange to wear them at first, but I'm getting used to them. I've been doing lots of socializing and confidence building activities. My retrieving is also improving and I'm really good at playing hide and seek! 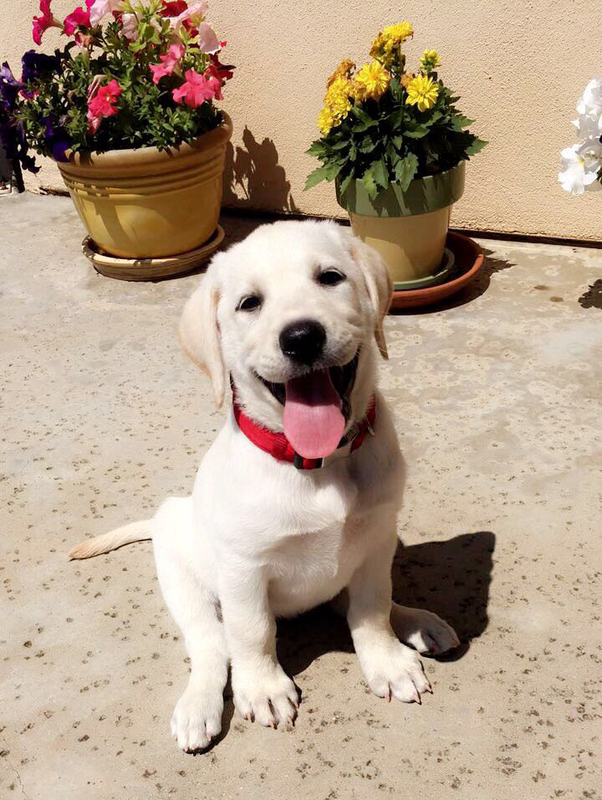 Hello everyone, it’s Gracie! This month has been a little rough. I have been struggling with my self-confidence and have been scared to go to new places and walk on strange surfaces. So, my teachers decided I should go home with my puppy parent every night. They are hoping with more exposure to new things I will start to feel more comfortable. I’ve been going to all kinds of places with my puppy parents. We went to the movies, restaurants, and shopping. With all of the support from my puppy parent, I'll be able to keep improving and be more confidence! I'll check back in with you guys next month to let you know how everything goes! 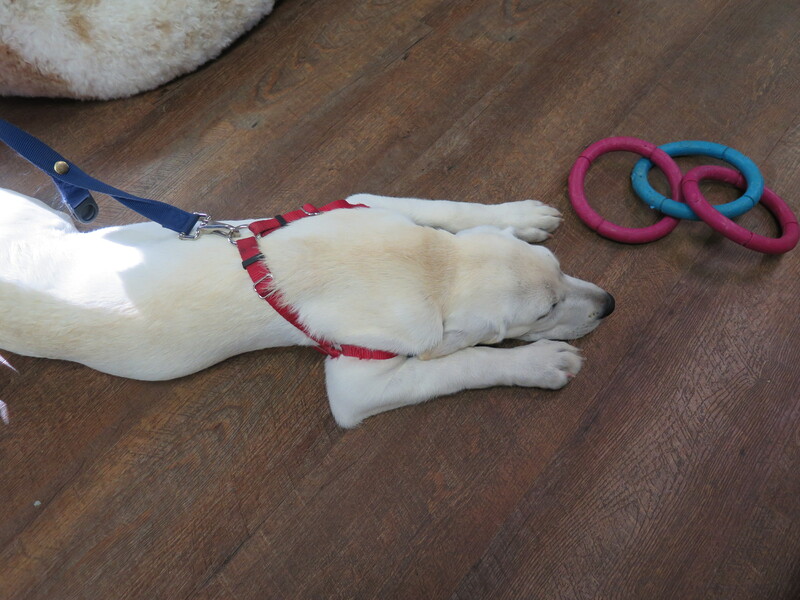 Gracie is doing good these days, she loves to have fun with NLK9S buddies here at CMC west Monday - Friday. On the weekend she has fun with her puppy parent, Nurse Bullock. Gracie's adventures on the weekend allow her to be the true explore she is. She has been camping, attended concerts & comedy shows, goes to the beach regularly, festivals, and many other places. She loves playing hide and seek. We have been working on an alert where we put a teddy bear (that she absolutely loves) in elevated areas. She will go search for it by looking up and them coming to alert us that she wants her teddy. Welcome back everyone! This month flew by for me, I learned lots of complex things. My handlers are showing me I can help other people when they are in distress or need my help. It was hard at first for me to respond to the other people I don’t spend too much time with, but what made it easy is I help the new people by bringing my handlers too them. It is a work in progress for me. 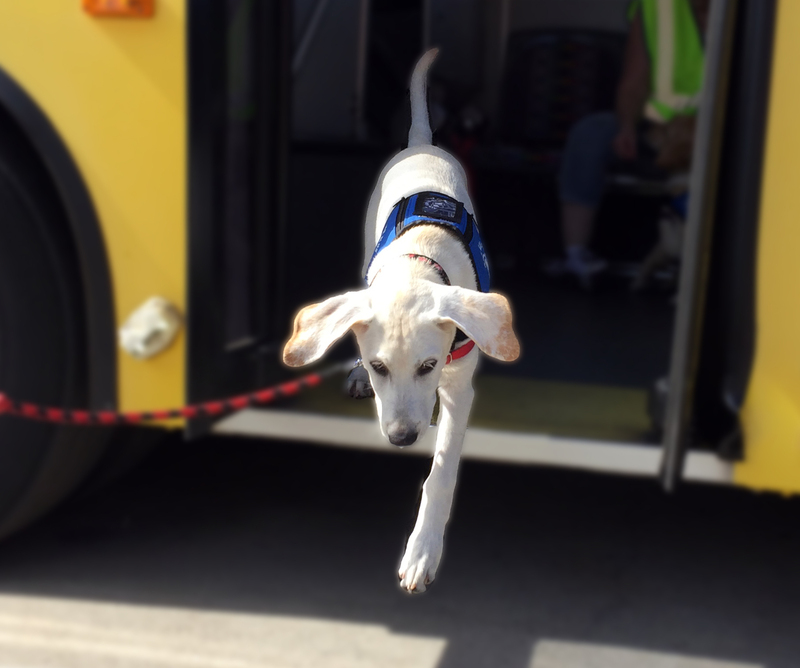 Since I am getting older and more than 1/2 the way through my learning process in becoming a service dog I am also maturing. Check in with me next month to hear more about my progress! I am lots of love and a cuddle bug. My favorite activity is doing nose work. I am very good at finding objects that are hidden. I have been told I am a natural helper, I love getting help when my handler tells me to go get help. What I do is I go alert a person that is nearby and walk him or her over to my handler. I am getting very good at it. 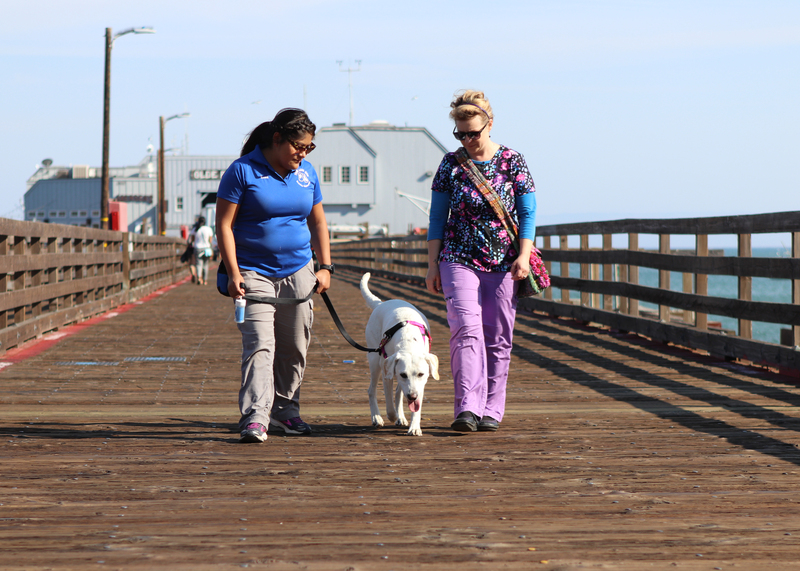 I recently got to go to the Port San Luis Pier with my Mommy and the New Life K9s Team!